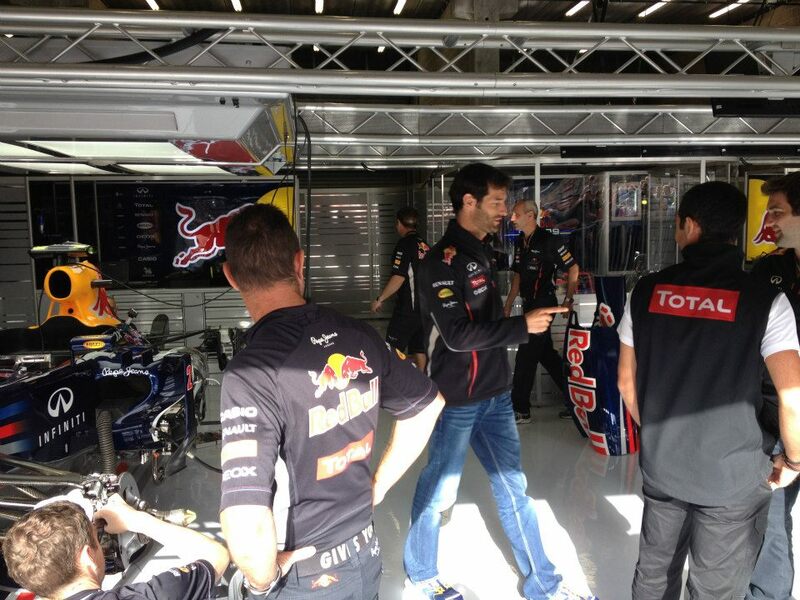 Mark Webber. What a guy. He's a great ambassador for F1 as well as more open and genuine than most in interviews (and most importantly he's bloody quick). And here with his usual frankness he talks about the Olympics, motor bikes, his sporting heroes and which team he'd like to join if he had to leave Red Bull. 1. You were at the Olympic Stadium on the night Mo Farah won the 5,000m. How did that atmosphere compare to what you experience on a Grand Prix weekend? I think it was one of the most amazing experiences of my life to see him win that. The atmosphere was incredible and it is something we do not experience as drivers. When we race we are in our own bubble. The crowd was deafening, I was pretty close to the track and could see his face, what was at stake for him, the years of effort that went into those last four laps. The race was awe-inspiring. 2. If you had to leave Red Bull tomorrow, but had the choice of a spare seat with any other team in the F1 paddock, which seat would you choose, and why? It’s tricky. I know a lot of the guys at Enstone and Lotus is a team that is probably closest to Red Bull in terms not taking themselves too seriously but still have a very clear focus and goal of being competitive. I think the atmosphere would be good there. And, Ferrari, obviously, from a romantic perspective. 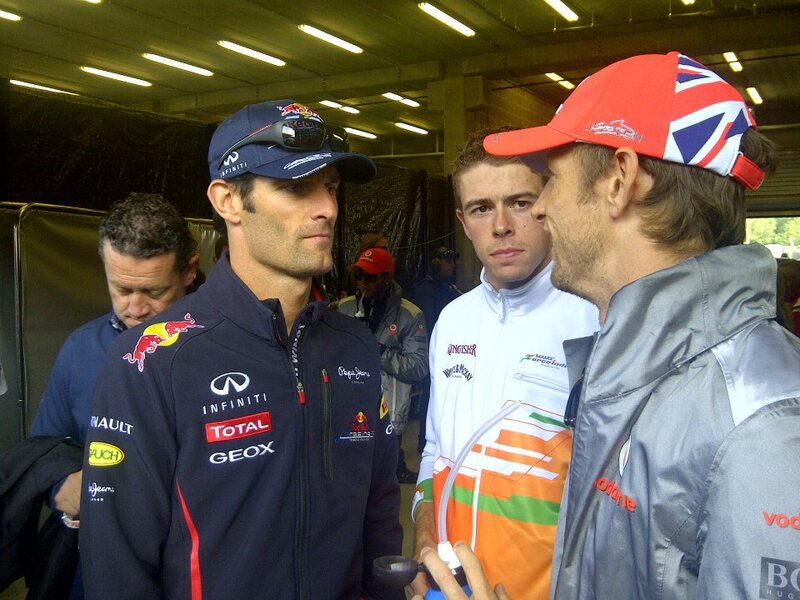 All the drivers know that it is a special team. In the end, I am really happy at Red Bull. I wake up each morning knowing I have a sensational team of guys around me and I love driving here. 3. You're famous for racing in four-wheeled motorsport, but are a fan of two-wheels, too. Tell us a bit about that. Well, I started on motor bikes as a youngster; my dad had a motorbike shop for about 20 years. I suppose this is where my passion for motorbikes came from. I had several different bikes growing up and I watched asphalt racing and dirt racing. I used to watch Mick Doohan, Wayne Gardner, Kevin Schwantz - I would never missed a race on TV. I also liked to watch a bit of motocross, now speedway and Isle of Man TT. I have done a few track days on motor bikes, I am absolutely no where near the level of performance of the pros, but I have a strong appreciation for what their talents are. 4. If you had to switch sports, what would you choose to compete in, and why? That’s tough. I am not good enough at any other sports, so I don’t have the luxury of picking and choosing, but if could have the magic touch, it would be good to be faster than Usain Bolt. 5. Who are your top three all-time sporting heroes? Bloody hell, that’s tough. Mohammed Ali. What Ali stood for, out of the ring more than even in the ring. He is still before his time; no one else is like Ali. Most sports men and woman around the world know he’s the guy. Closer to home it would have to be motorbike racer Mick Doohan. Mick raced with some horrendous injuries, he really pushed himself and the bar was just about him, he wasn’t racing anyone else, he was racing himself, which is why he probably kept getting injured. It was inspiring to watch him race. In Formula 1, I think Senna. Ayrton was genuinely human. He was humble, real and a brutal competitor. He had a privileged upbringing but he never forgot how fortunate he was. That was a great quality he had.